A 45 suiting the funky northern soul sound, re-reissued here on a great sounding Record Shack release. 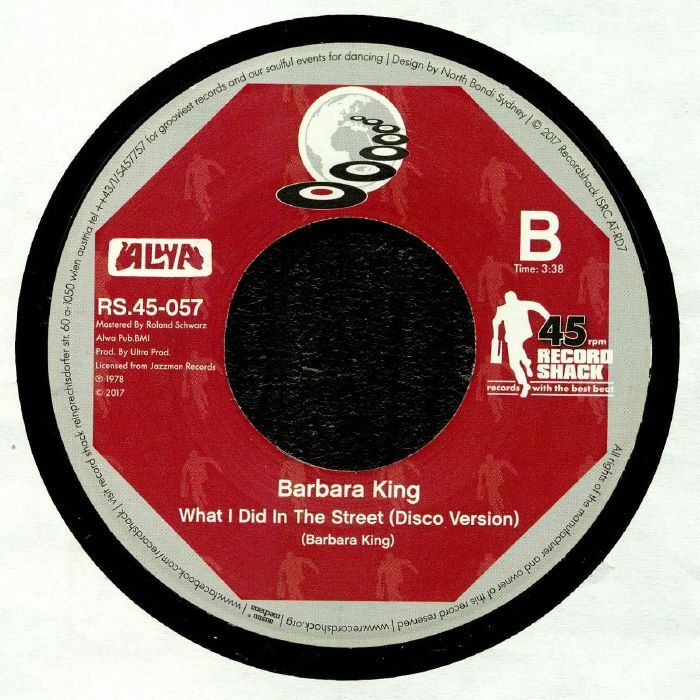 Both highly sought after versions of "What I Did In The Street" featured here: from the raw and original Gulfstream label version, backed with the smoother, disco release that came later. Originally released in 1978 as a B side to Betty Padgett's "Tonight Is The Night", King was a Florida based vocalist and this terrific song was her sole release.